This adorable, two-story townhouse has a prime location situated between Middletown and Anchorage and right across from Crosby Park. It features an open concept floor plan, beautiful hardwood floors, loads of natural light, gas fireplace and a fully equipped kitchen with stainless steel appliances and granite countertops. Upstairs you will find the master en suite and second bedroom and second full bathroom, both bedrooms offering large walk-in closets. The basement offers a finished area that could accommodate a variety of uses such as an office, den, fitness room, play room, etc. A back patio provides outdoor living area perfect for evening grilling and relaxing! Note: All furniture and decor is available for sale. SchoolsClick map icons below to view information for schools near 11524 Bellewood Garden Ct Louisville, KY 40223. 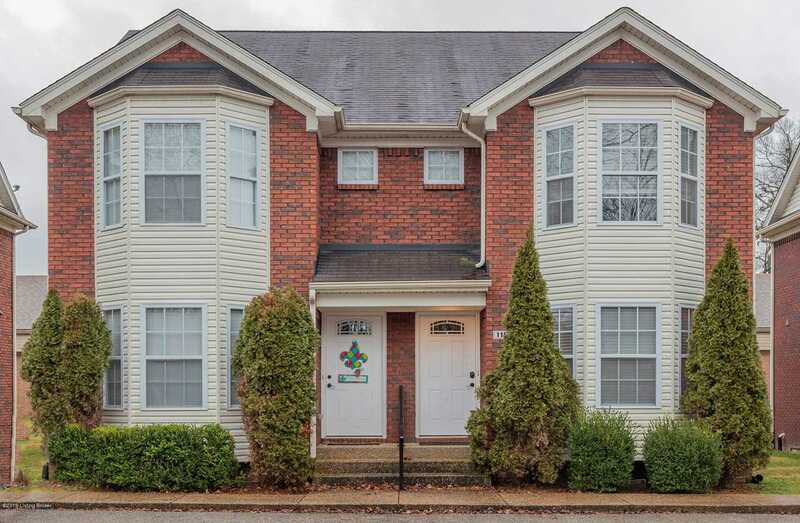 MLS # 1523680: This property at 11524 Bellewood Garden Ct, Louisville, KY 40223 is located in the Bellewood subdivision and is listed for $165,000. MLS # 1523680 has been on the market for 84 days.